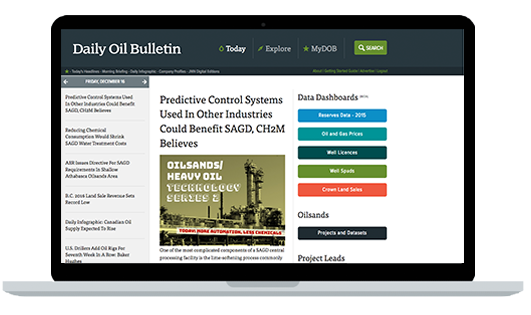 The Daily Oil Bulletin (DOB) is Canada’s most trusted and comprehensive source of oil and gas industry insight and intelligence. A critical tool to survive and grow in the Canadian oilpatch, the DOB delivers essential news, data and analysis of industry trends and opportunities. Professionals in Canada's oilpatch rely on the DOB for business development, market intelligence and to monitor industry trends. With a DOB membership, you can gain access to a key set of tools that improve productivity, identify opportunities and help make better decisions. Original content from the DOB’s team of editors, reporters and analysts goes beyond the headlines to provide a connection between what’s happening and why. Receive up-to-the-minute local insight on Canada's oil and gas industry with three optional daily news briefings. Be competitive and informed with an exclusive search feature that allows access to extensive report archives. Access all your oilsands data in one complete database. 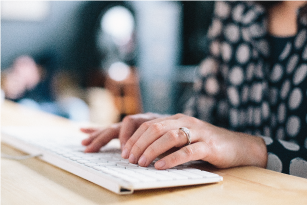 Get company data quickly and easily without having to search numerous websites. Create your own custom charts and graphs with the DOB's built-in filters on the Data Dashboards. Access award-winning magazines—Oilweek for additional, in-depth coverage of Canada's energy industry. Access exclusive insights on the latest trends, market news, technologies and regional insights. The DOB is the exclusive host of the Canadian Oilsands Navigator. An essential business tool to analyze the oilsands industry, the Navigator helps to evaluate activity at a project level with integrated data, maps and analysis. Discover new business opportunities with the DOB’s exclusive POST Report, which provides daily updates on drilling projects before they’re licensed, and info on new facilities and pipelines. The DOB contains historical land sale, licence, drilling and completions data sets, as well as company profiles. Our Data Dashboards help you visualize critical oil and gas information quickly and easily (e.g., reserves, spuds, oil and gas prices). DOB members can sign up to receive our daily alerts: the Morning Briefing, noon-hour Today’s Headlines, Market Briefing and Breaking News. DOB membership includes access to the current digital edition of Oilweek. Along with the DOB, these publications are part of the JWN family of energy intelligence and insight. Drive service and supply leads in real time. 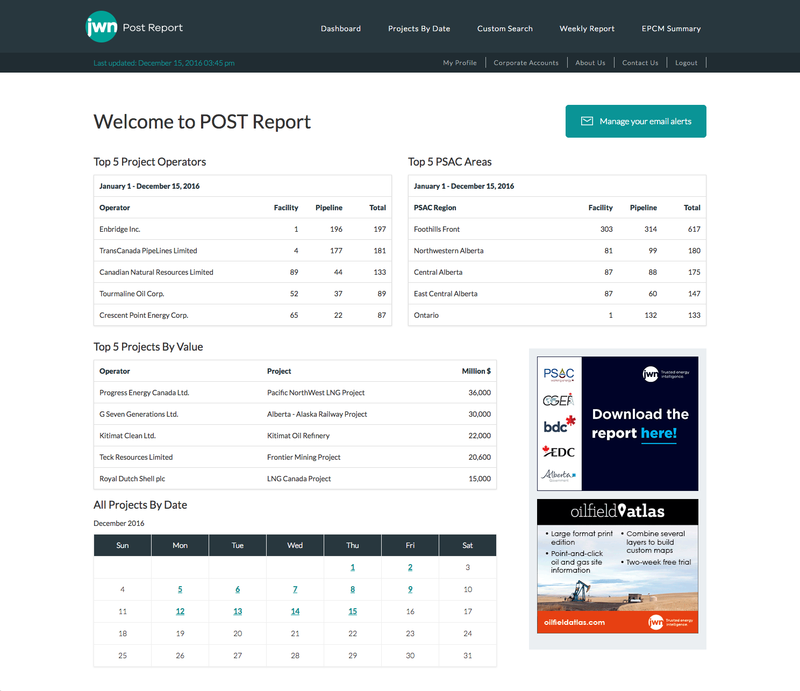 Updated daily, the Project Opportunity Sourcing and Targeting (POST) Report is an easy-to-use tool with key details about drilling, maintenance, facilities, pipelines and other major projects in the Canadian oil and gas industry. Organized by PSAC Area, you can search projects by operator, value, date and other parameters. For service and supply companies, the POST Report is an important tool to help them identify business development leads relating to facilities, pipelines and drilling. Contact Barrie Bonter for any questions regarding purchasing a membership.